Evolutionary algorithms (EAs) consume large amounts of computational resources, particularly when they are used to solve real-world problems that require complex fitness evaluations. Beside the lack of resources, scientists face another problem: the absence of the required expertise to adapt applications for parallel and distributed computing models. Moreover, the computing power of PCs is frequently underused at institutions, as desktops are usually devoted to administrative tasks. Therefore, the proposal in this work consists of providing a framework that allows researchers to massively deploy EA experiments by exploiting the computing power of their instituions’ PCs by setting up a Desktop Grid System based on the BOINC middleware. 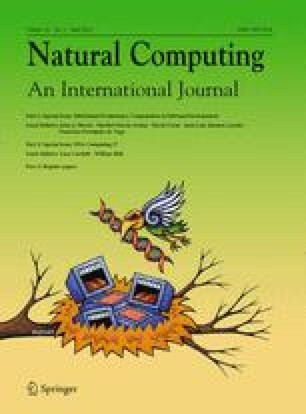 This paper presents a new model for running unmodified applications within BOINC with a web-based centralized management system for available resources. Thanks to this proposal, researchers can run scientific applications without modifying the application’s source code, and at the same time manage thousands of computers from a single web page. Summarizing, this model allows the creation of on-demand customized execution environments within BOINC that can be used to harness unused computational resources for complex computational experiments, such as EAs. To show the performance of this model, a real-world application of Genetic Programming was used and tested through a centrally-managed desktop grid infrastructure. Results show the feasibility of the approach that has allowed researchers to generate new solutions by means of an easy to use and manage distributed system. This research was funded by the Spanish Ministry of Science and Innovation under project ANYSELF (TIN2011-28627-C04), FEDER and Gobierno de Extremadura project GR10029, and IdenTIC. Additional funding was also provided by CONACyT, México, through Project 155045—“Evolución de Cerebros Artificiales en Visión por Computadora”. Finally, thanks are given to the support provided by the Departamento en Ingeniería Eléctrica y Electrónica from the Instituto Tecnológico de Tijuana.